As a Mom, it is always important for me that my little girl gets to eat nutritious food, and by that I mean fruits and vegetables. I count myself lucky because she is not so much into candies and chocolates. I am lucky the little girl would ask first if she wants one. 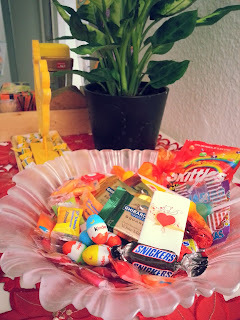 Although I display a bowl of sweets on top of one of our chest drawers in the living room, she would always ask first if she can take a chocolate or candy from the bowl on those occasions when she feels like eating them. 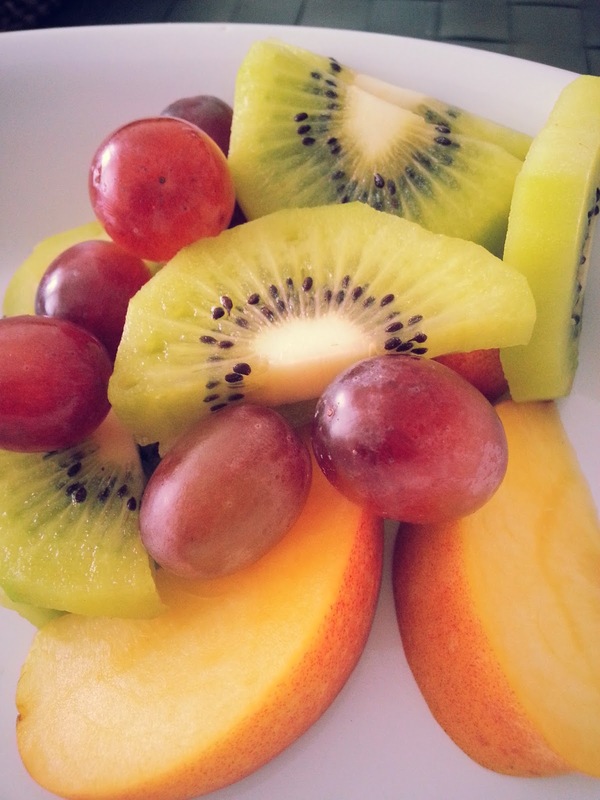 A combination of fruit slices is good so they get a mixture of vitamins and minerals. More often than not, she would ask for a bread sandwich or fruit slices for snacks. 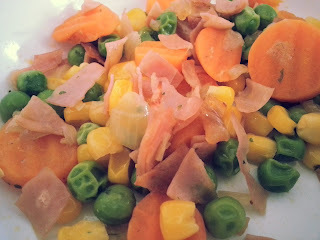 On most meals, I usually include vegetables in the menu and I am happy to see her wolfing them down. And she would sometimes eat with her hands and would ask for another serving of rice. A burst of colors for your warm meals. Plus they very easy to prepare too! I guess a good way to keep your child interested in eating healthy and nutritious food is by making it look interesting for them. You can cook up colorful veggies together so it looks delicious: a combination carrots, peas, corn and paprika will be perfect to whet your child's appetite. You could also cut up interesting figures or form / arrange the food into interesting characters. A good example is how Japanese moms prepare the Obento of their children. 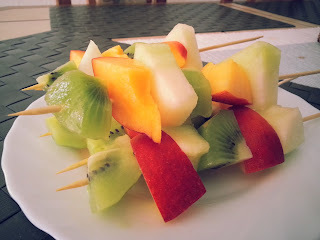 Fruits in skewers is also a good idea to get them to eat different kinds of fruits. For fruits, you can always prepare a mix of it instead of just one so it looks colorful. Another interesting trick is to put the fruit slices one after another on sticks. You can also prepare a chocolate dip on the side to make it more attractive for your little ones. Your kids will love them! Wow, kakainggit si Sam marce, love nya ang fruits and veggies. Fruit mix with chocolate dip, that's interesting! I'll see if that will work for my son. He isn't really fond of fruits. Thanks for this tip! Good idea on fruit skewers! Ma try nga.